Simple, effective, attractive, and convenient this punch cutter comes with a key chain for the smoker with other things on their mind than the location of their cutter. Favorite of all cutters. Wish there were different punch sizes. 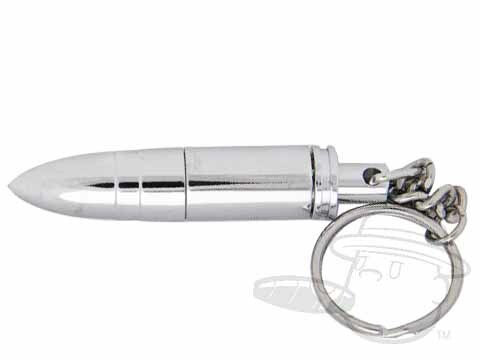 Bullet Punch Cutter Silver is rated 3.9 out of 5 based on 6 customer ratings.